Our group members arrange visits to current and former locations linked to a wide range of industrial activities. Some sites require the ability to walk a considerable distance over rough terrain; suitable clothing and footwear are needed. Some visits last all day, others are shorter. We normally have lunch at a suitable establishment in the vicinity. Our visits generally take place on the 1st Wednesday each month and most members meet at Halford’s car park (near Sainsburys, Caldy Valley) to share cars. Contact Sheila Young for further information. 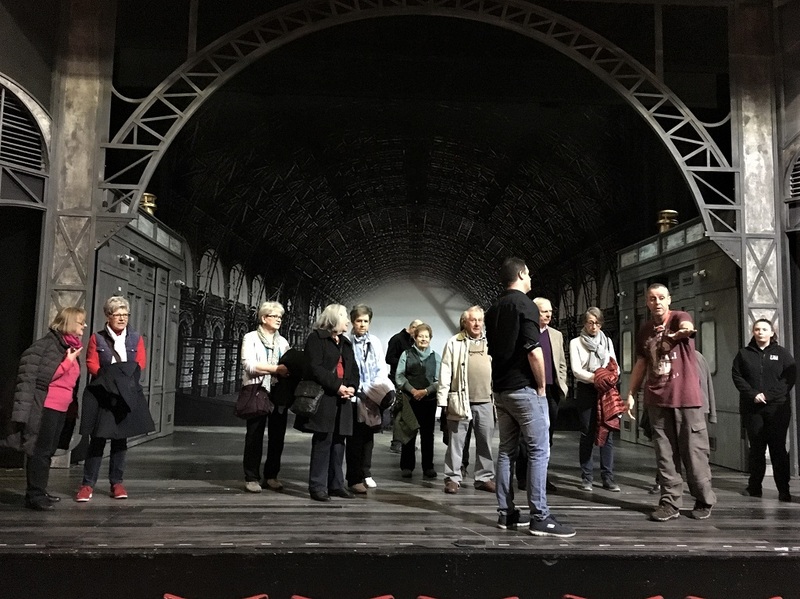 A fascinating tour of Theatr Clwyd around the front of house, back stage and even on stage gave us a real insight into the many facets of staging a production. We saw the wardrobe department and some of their amazing stores, the studio theatre, the Emlyn Williams theatre set up for an amateur production, the workshop where props are made & backcloths painted and then the main Anthony Hopkins theatre including underneath the stage and the flying gallery. All the way round the staff described how lighting, sound, props, costumes etc. are setup and operated during productions. A few photos show parts of the tour. Our thanks to Jane Smith for arranging this and all the Theatr Clwyd staff who gave their time.